It’s always a pleasure to have visitors, so today I’m excited to introduce a friend and fellow Booktrope author, February Grace, talking about her new novel, Wishing Cross Station. When Jonathan asked me to write a post about what makes my writing stand out—what makes it different or unique—I stared into my coffee cup for some time; watching the powdered creamer swirl in it, making all sorts of fantastical imaginary shapes… is that a unicorn I see? Maybe it was the caffeine talking. Or maybe I was just procrastinating. This is going to be a tough post for me to write. In fact, of all the guest posts that I have been graciously invited to write this month, this one might be the most difficult of all. Because it’s not easy for me (introvert level 10 on the Keirsey temperament scale: type, INFJ) to talk openly about being unique or standing apart. INFJs tend to blend into the scenery… we observe people, we listen, we learn. We empathize. We are the closest thing there is in human form to the Beta Zoids of Star Trek fame: we feel other people’s feelings and always want to put them before our own. Just looking at that paragraph makes me want to go back and delete all the bold typed text! 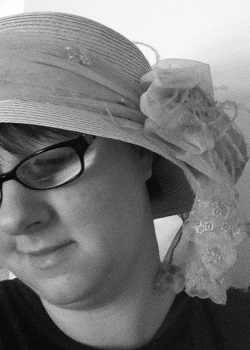 But at the end of it all, the truth is I am proud of my fifth novel being published by Booktrope. It is a cool thing, and it is, if I do say so myself, a cool book. It’s a ‘dark’ book, which is something new for me when it comes to my novels. I usually save darker tones for essays and poetry and the occasional short story or flash fiction piece. But this novel is darker than the ones that preceded it; and I have been asked now, why is that? The answer I came to was, this was the book that was in my heart; and so I wrote it. 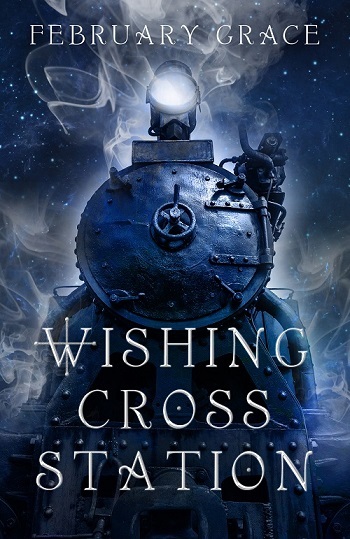 Someone said to me recently that I was very lucky to be published by Booktrope, because most publishers these days would not have allowed me to publish WISHING CROSS STATION with the ending it has. I can’t imagine the book without the ending it has, and if they’d insisted I change it I would have said thank you kindly but no thank you and put the book in a trunk and hidden it in the style of Emily Dickinson. People will think what they do about your writing and your stories… once you release a book out into the wild, you have no control over that. You only have control (with my publisher I had that control anyway… if I didn’t have it, I wouldn’t want to write anymore) over what you put on the page. Well, as much control as the characters give me, which isn’t really a whole lot. In fact I’d go so far as to say that they’re responsible for the whole thing from beginning to end—I merely took dictation. The things on the page came straight from my heart, so in the end I can only hope that what sets it apart is that very thing: my heart is in it, as opposed to someone else’s. Someone else could have written a story about a college student finding out there is a hidden wormhole beneath the railroad roundhouse at a historical theme park (maybe…) but no one could have written WISHING CROSS STATION exactly as I did. Because I wrote it, and that’s probably the most unique thing about it. It’s the most unique thing about every single book ever written; the fact that it was written by the only person who could have written it just that way. What makes my writing stand apart? I hope it’s my voice, the characters (who introduce themselves to me as fully formed people I then have to get to know) and the heart at the middle of it all. Because if those things can’t or don’t make my writing a little bit different from anyone else’s, then I don’t know what possibly could. Thank you so much to Jonathan for hosting me today!